Parking: during peak times a £5 refundable parking charge is collected on arrival. This is refunded at the admissions point when purchasing your ticket. The £5 fee does not apply to English Heritage and National Trust England Members (providing you show a valid membership card) or those who book in advance. Last admission time is 2 hours before the advertised closing time. Advance booking required. English Heritage and National Trust members admitted free. Please note, this is applicable to National Trust in England only (does not include National Trust Scotland or other National Trust affiliated organisations). For some of us old archaeologists last night’s Timewatch film was as much about memories as Stonehenge, but it was great for both (and good to see Salisbury Museum’s new prehistory gallery). 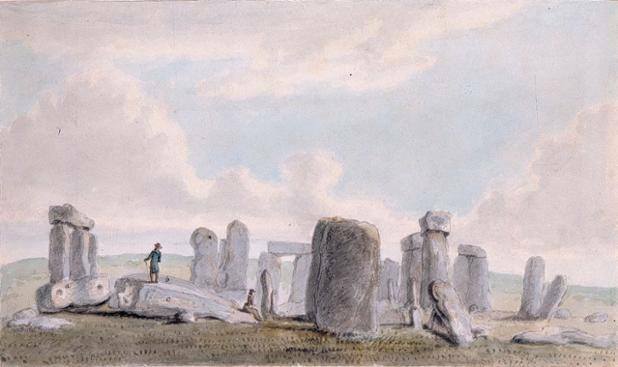 Did the bluestones get to Stonehenge by human transport or glacial action? The fundamental problem with resolving this issue is clear in the film clip, and it hasn’t changed a bit. Kellaway (a geologist) talks about archaeology and the motivations of people who built Stonehenge. Atkinson (an archaeologist) talks about geology. 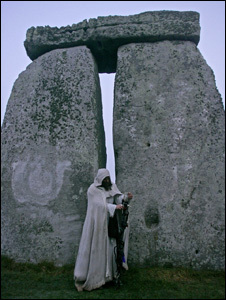 Explore the wider Stonehenge World Heritage landscape with a National Trust guide discovering hidden histories and ancient mysteries. An afternoon walk up on the downs learning about the ancient archaeology of the Stonehenge World Heritage Site. On this 4 mile walk with views of the stone circle, we’ll visit ancient earthworks that have revealed much about the people who once lived and celebrated here. Talking points include the Cursus, the many and varied barrows, and an ancient avenue connecting ceremonial centres. Accompanied children welcome, free. Dogs on leads are welcome. Meeting in a car park off Tombs Road (Larkhill) at OS grid reference SU 14382 43626 (nearest postcode SP4 8NB). A map of the meeting point on can be found on the event’s webpage. Dress for the weather – wrap up warm as it gets chilly up on the downs – and wear stout footwear. You may like to bring a drink and a snack. Please note, traffic on the A303 is often congested around holidays and weekends. Although your guide will tell you about it, this walk doesn’t visit the Stone Circle. You might like to visit it before the walk; NT members are admitted free.